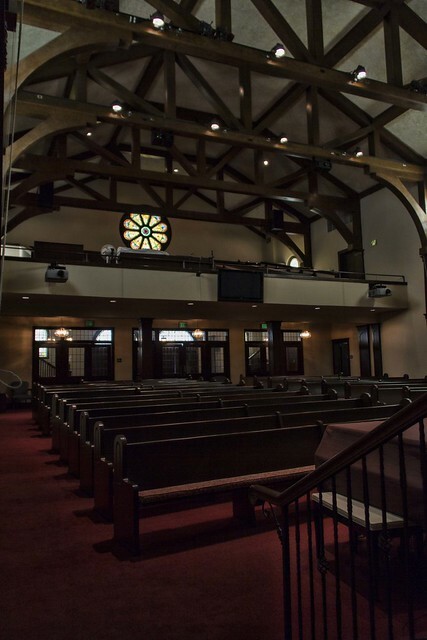 A couple of weeks ago I went with a friend to look at the First Presbyterian Church as a possible site for a wedding. I have shared pictures of this church before, but always from the outside. Click here and here for related posts. The inside was beautiful. 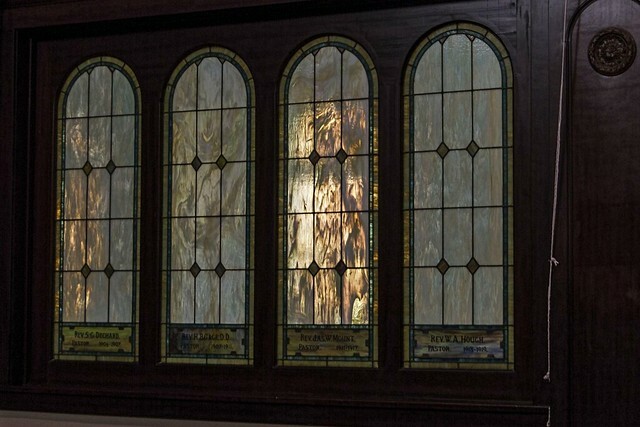 It was rambling and homey, yet had an elegant quality with all the dark wood and colorful stained glass. 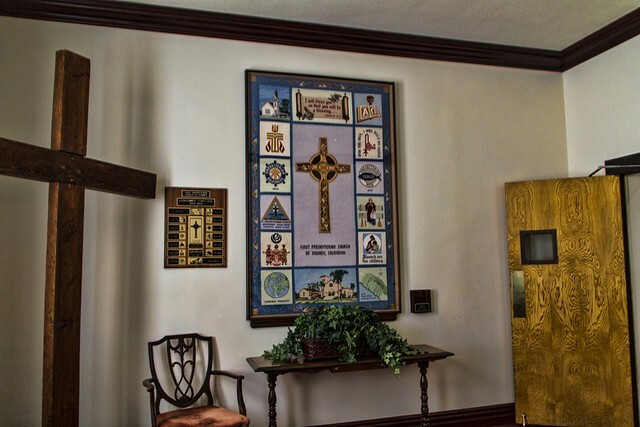 In the Pepper Tree room we were shown a needlework tapestry done by a collection of some of the women in the church. It pictured the original First Presbyterian church building that was built on the corner of Second and La Reina Streets in 1886. I believe the current church on Downey Ave. was built in the early 1900s. 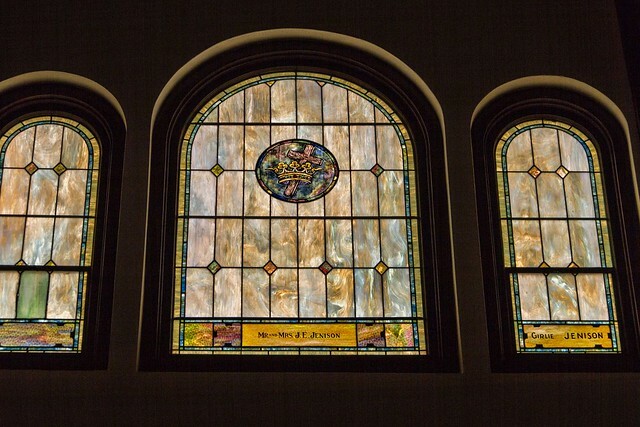 It was nice to hear from Ann Marie (the volunteer who showed us the church) that most of the stained glass from the original church was used in the construction of the new building.